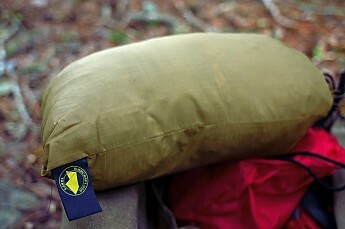 A "bomb-proof" tarp best used as a hammock or ground shelter. Not UL, but what you give up in weight, you gain in versatility and durability. I recommend it as a high-quality, Made in the USA product offered at a reasonable cost. 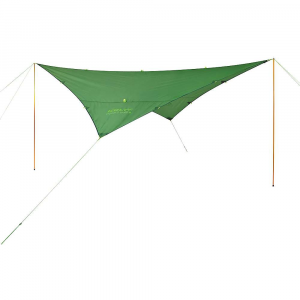 I've owned the coyote version of this tarp for the past several years, and I've used it for overnight ground shelters and hammock cover in the Eastern U.S. The difficulty of setup depends on how you choose to set it up. However, given the ample tabs, I've not yet encountered any difficulty setting it up in any configuration. I pack my line kit in the included stuff sack so it's ready to go when I am. My typical setup time is less than 10 minutes. 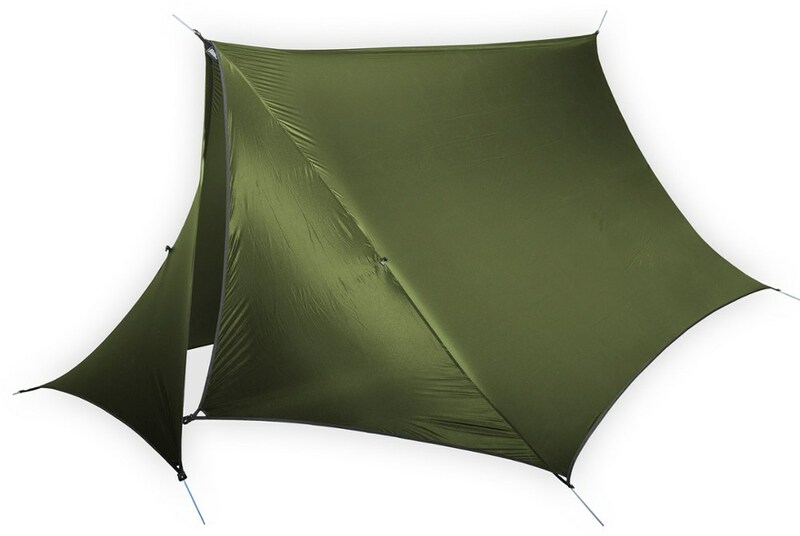 This tarp pitches quite tautly, and because of the material, it doesn't stretch noticeably so it stays taut. Of course, your line selection will have some influence on this. 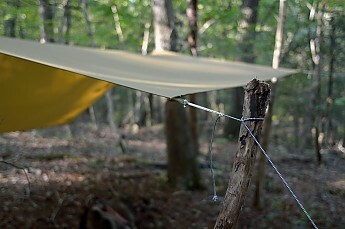 Using a low/no stretch line, this tarp will stay taut. After sealing the ridgeline seam, I've stayed completely dry under this tarp without any issue whatsoever. I've been told by others that they've not even bothered to seal this seam, but I was persuaded to be safe rather than sorry. 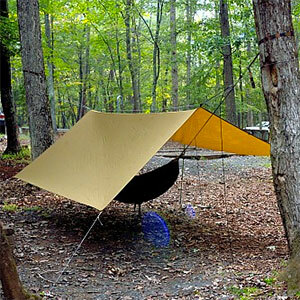 This is NOT an ultralight tarp by any means. 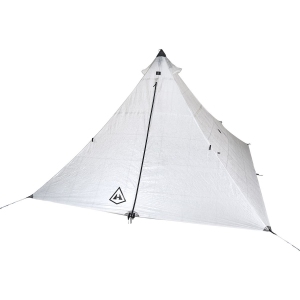 It's a bit bulky to pack (compared with a silnylon tarp for example), but I have no doubts about its durability or its ability to protect me from the elements. 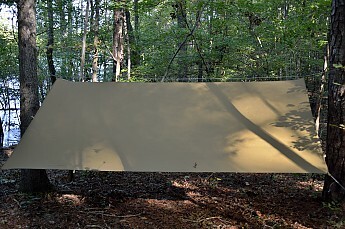 At 10' x 10', it offers a great deal of coverage. I absolutely love the numerous tabs, and the fact that it's Made in the USA! 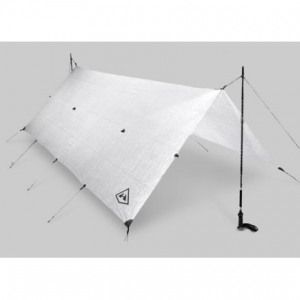 If you're looking for a high-quality tarp for a variety of shelter options, this may be the product for you. 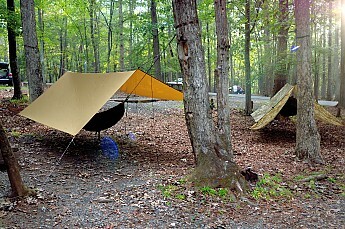 Nice review and pictures of your tarp, beacon! Thanks for taking the time to share it and to introduce this company to us. 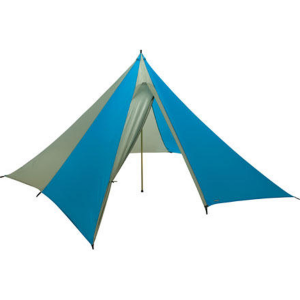 The Bushcraft Outfitters 10' x 10' Tarp is not available from the stores we monitor.